The Airway Knife has a full contoured shape for comfortable and firm gripping. It's square blade holding peg eliminates blade wobble, and both blades are interchangeable. 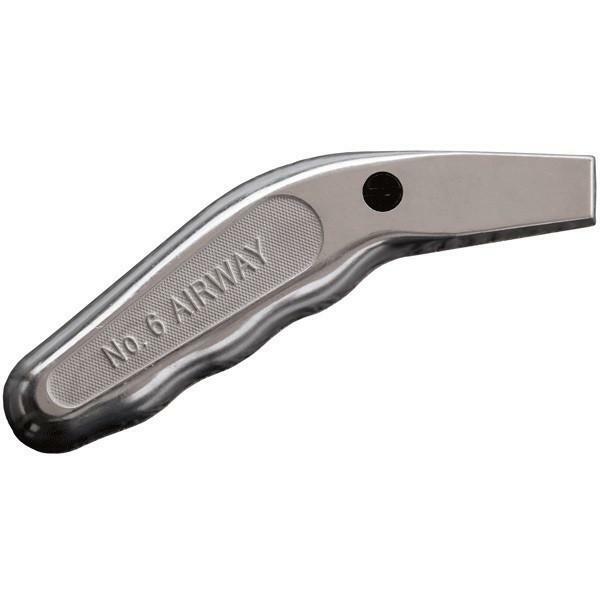 The Airway Knife is supplied with one No. 25-AB type blade. Also works with No. 26-AB Hooked Knife Blades. It's die cast polished aluminum handle requires that you loosen only one screw to quickly change blades, and the screw is case hardened to resist slot wear.